Improved your general fitness but want to take things up a notch? Want to feel stronger and look leaner? 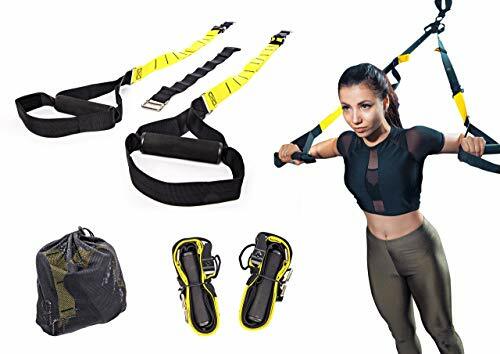 This suspension training kit will add another dimension to your workout, keeping your whole body in optimal condition! Thanks to the multipurpose design, you can target both your upper and lower body to work arms, shoulders, chest, abs, thighs, and calf muscles. With the universal hook system, it can be used at home or when you travel - no specialized gym equipment is necessary. For the ultimate way to work out, add this kit to your cart today! If you have any questions about this product by Active Athletic Basics, contact us by completing and submitting the form below. If you are looking for a specif part number, please include it with your message.